Benjamin P Carter – Archaeology. Pedagogy. Landscape. Combined. This is a test of Juxtapose by the Knight Lab at Northwestern University. The two images below show the present (Jan 2019) compared to an aerial photo from 1938. The furnace, casting house and the “dwelling house” have all been demolished, along with other local buildings. The original buildings were identified using a application for insurance for the furnace complex (valued at $5500) from 1828. Posted on October 31, 2017 Author Ben Carter	2 Comments on Openness and predatory journals. This morning I read the article by Gina Kolata in the New York Times entitled, Many Academics Are Eager to Publish in Worthless Journals. The article discusses predatory journals, which are “journals” (if we bend that term beyond recognition) that are willing to publish anyone, have little to no editorial staff and do not employ peer-review (even if they claim to do so). Authors usually pay a fee to publish in these journals. These journals, therefore, promote psuedoscience- there is literally NO mechanism to ensure that the scholarship is well supported. In the environment of “publish or perish,” some academics, Kolata reports, are publishing in these journals simply to get another publication. Publication in these non-peer-reviewed, unedited, “pay-to-play” journals does not appear to hinder academics ability to secure tenure. Indeed, some of academics who have published in predatory journals have received awards that are, at least partially, based upon their publications. Additionally, it’s not terribly surprising that academics who work at institutions with high teaching loads but with limited support for research (such as at community colleges or liberal arts colleges- like Muhlenberg College, where I teach), but who are also required to publish, are particularly susceptible to these journals. So, what does this have to do with openness? Most of these journals are “open”- that is, they have minimal overhead and, since very few (none?) produce expensive print copies; the only place you can find these publications is online. Additionally, I presume that no reputable library would purchase a subscription. Therefore, the primary (sole?) source of income is from the authors. Predatory journals are producing articles with “research” that has not been peer-reviewed or are in reputable journals, books or from reputable publishers but the articles are available to the public. There is no way to ensure their veracity or accuracy. Some are even indexed in Google Scholar, which does not vet the journals it indexes. Not only is this poor scholarship, but it is also MORE available to the public than most peer-reviewed scholarship, which is closed-up tightly behind pay walls. A side note here… I headed over to Beall’s List of Predatory Publishers and Journals to try to find some of these articles. It was actually quite opaque. Many websites were nearly non-functional and actually finding articles was difficult. The concern expressed above may be more about future concerns than about what is available at present. This post, therefore, though quite brief, is a call for more openness in research and scholarship- the more reliable research available the better. But, it is also a recognition that availability is clearly not enough. Openness is not enough. We, both as researchers and teachers, need to think deeply about how we teach our students to recognize the difference between reliable scholarship and research that is not supported. Also, because a limited portion of the “public” goes to college, we (perhaps as institutions, not as individuals) also need to figure out ways to communicate this information outside of our physical and scholarly spaces. The following is a description of how the maps discussed in the previous post were constructed. This information is provided in the spirit of open access and replicability. 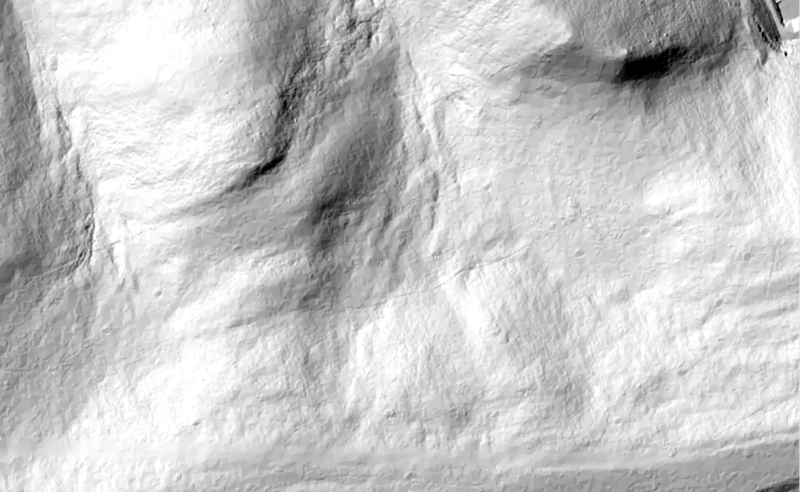 The following is a step-by-step guide to building digital elevation models (and their derivatives) from PASDA LiDAR data. Download las tiles from PASDA. Zoom in on the area of interest. Place your cursor over a spot of interest and right click. This will bring up a list of available data. At the right, you will see a listing of “LAS” files for download. Select and download all the appropriate files. Convert projection and reserve only category “2” points (2= ground return). 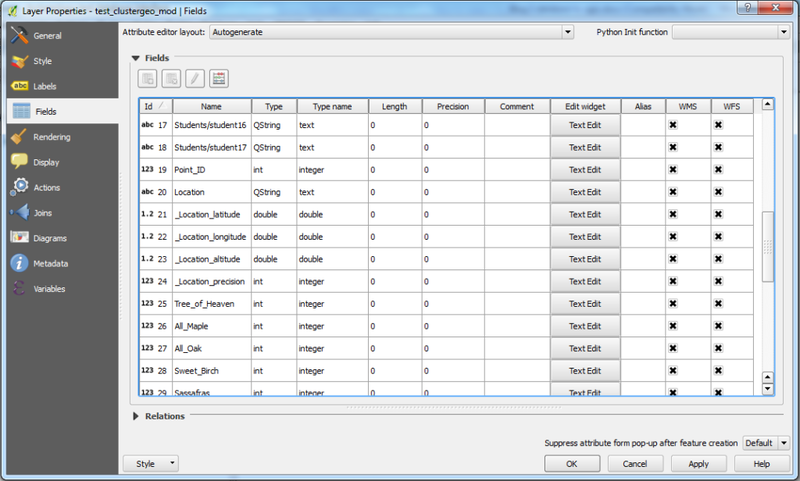 In the upper left, find and select all of the files from the above. Reproject from feet to meters. Be sure “units” are in meters. 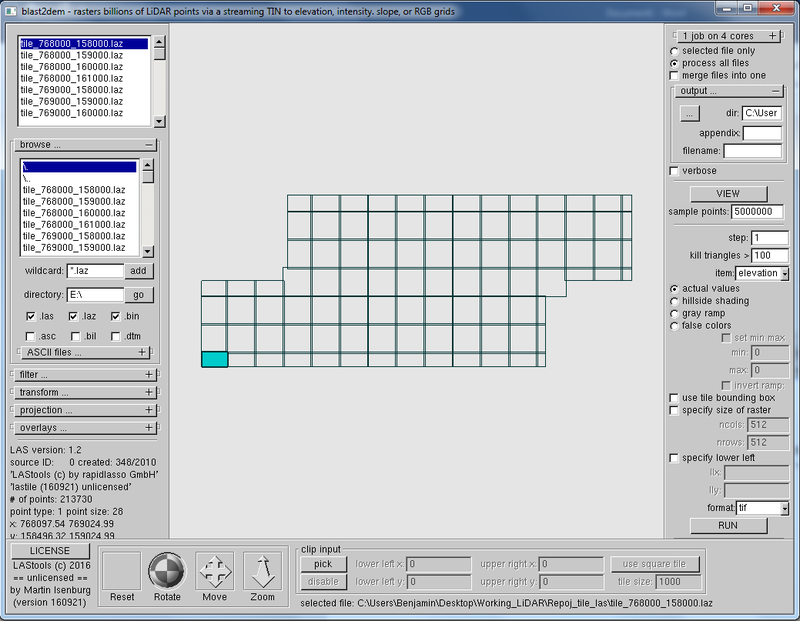 Choose an output location in the upper right. You should now have reprojected las files that include only the ground return. 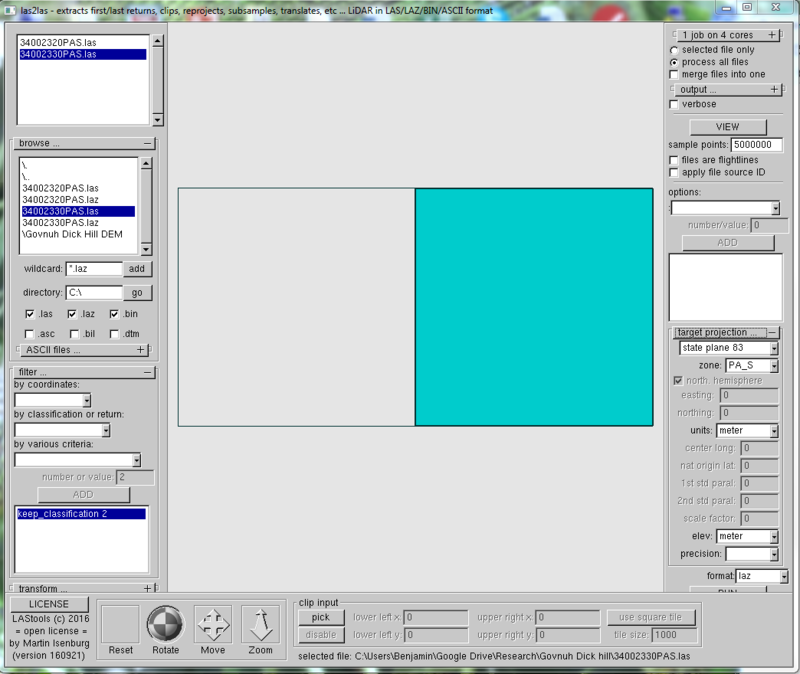 Add the reprojected las files (actually now they should be laz files) in the upper left. Your DEM’s are now created. From here, you will want to stitch the DEM’s back together, but you need a GIS program for that. 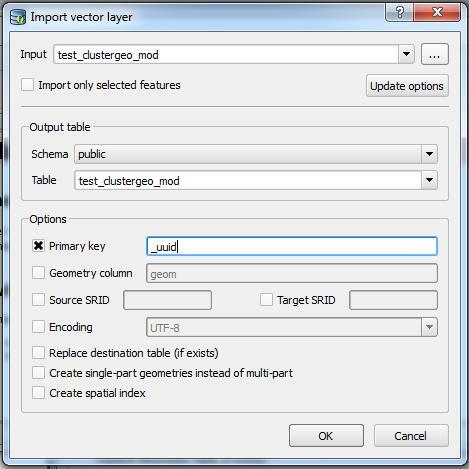 You can use the open source QGIS. Click on Raster- Miscellaneous- Merge. Select the destination location and file name. I frequently get an error here, but the results appear complete. 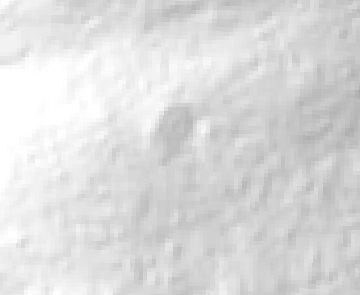 At this point, all of your data should be in a single Geotiff file (be sure to save it) as a digital elevation model. 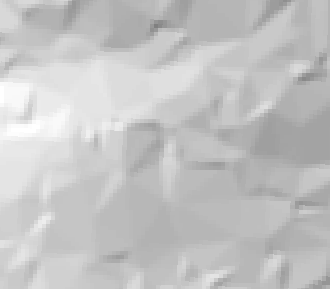 In order to complete the analysis in the previous post, I converted the DEM into a slope model, which shows high slope in lighter gray and low slope in darker gray. 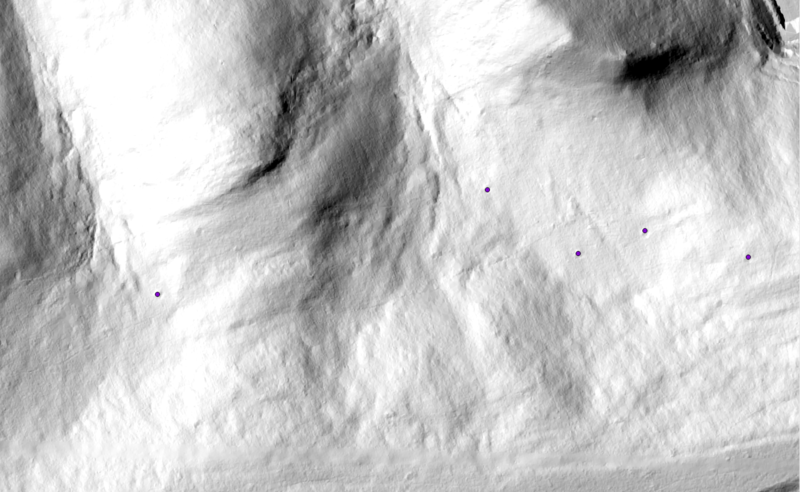 To do this, all you need to do is, in QGIS, use Raster- Terrain analysis- Slope. The input is your DEM and the output is the new slope model. Within QGIS, you should now be able to see maps similar to those shown in the previous post. Posted on September 6, 2016 Author Ben Carter	No Comments on Wanna collect data digitally? This is my final post as a participant in the Institute for Digital Archaeology. This post serves three purposes. First, I announce a resource that I have created to enable digital data collection in archaeology. Second, I want to mention a few of my favorite aspects of the Institute. Finally, I just want to say a few thanks. First, I announce a new resource for digital data collection in archaeology (see website ). While I initially planned to make something (I didn’t even really know what… an app? ), instead I have cobbled together a couple of pre-built, “off-the-shelf” tools into a loose and compartmentalized system. And… because they are all well-supported open source tools they are also 100% free! On the website, I provide a justification for why I chose these tools, criteria for selection and descriptions of the tools. More importantly and even though all of these have low adoption thresholds (that was one of the criteria! ), in order to support the testing, adoption and use of these tools in archaeology, I provide documentation on the ins and outs of using these tools. This means that you can be up and running in a matter of minutes (OK, maybe more depending upon download speeds…). In her final post Anne talks about toe-dipping and cannon-balling. My goal here was to suggest tools and provide assistance so that you either can dip your toes or jump right in; either way, I think you will see a big splash. I hope this helps. PLEASE LEAVE FEEDBACK. Please. Second, I wanted to share two of my favorite aspects of the Institute. One, my colleagues. I have been honored to be part of such an open, collaborative and supportive cohort of insightful and dedicated scholars. I learned much simply from conversations over coffee at breakfast, Thai food at lunch and beers over dinner as I could hope to learn at any organized workshop or talk. Your struggles are as valuable to me as your final products. I want you all to know that I look forward to more conversations over beer, lunch (maybe Mexican this time? ), and beer (did I write beer twice?). Two, time. I greatly appreciate the space that participating in this yearlong institution has given me. Without this institute, I think I would be still struggling away trying to put some sort of digital data collection system together in my “spare” time. No, it’s not done (is there such a thing), but the institute and the (dreaded) posts have kept me on track even though dead ends and unexpected turns. Third, I want to thank the entire faculty. Of course, an especially large “THANK YOU” goes to Ethan and Lynne for putting the Institute together. I have learned so much from the rest of the faculty that I would like to thank them as well for their time and effort, both at the institute weeks at MSU as well as during the year in between. I understand the amorphous, complex, ugly (i.e. coding) world of digital archaeology much better than I ever thought I would. Thank you, Terry, Kathleen, Catherine, Brian, Shawn, Eric, Dan and Christine. Lastly, a satisfied smile goes out to the NEH for supporting the Institute. Good decision! Amazing results! Just look. Posted on August 6, 2016 Author Ben Carter	No Comments on Kobo Toolbox in the field- limitations? and solutions. This is a field report of efforts to develop a plan for low cost, digital data collection. Here’s what I have tried, what worked well, what did not and how those limitations were addressed. First a description of the conditions. We live in two locations in Ecuador. The first is the field center established and currently run by Maria Masucci, Drew University. It has many of the conveniences needed for digital data collection, such as reliable electricity, surge protectors, etc. It does not have internet nor a strong cellular data signal. We are largely here only on weekends. During the week, we reside in rather cramped conditions in rented space in a much more remote location, where amenities (digital and otherwise) are minimal. There is limited cellular data signal (if you stand on the water tower, which is in the center of town and the highest point even though it is only one story tall, you can get a weak cellular data signal; enough for texts and receiving emails, but not enough for internet use or sending emails) and there is no other access to internet. We also take minimal electronic equipment into the field for the week (e.g. my laptop does not travel). So, everything needs to be set up prior to arrival in the field. The idea, therefore, is to largely use minimal electronic equipment in the field; I tried to use only one device (while also experimenting with others) for this reason. My device of choice (or honestly by default) is my iPhone 5s. The central component of this attempt at digital data collection is Kobo Toolbox (see my earlier posts for more details… here, here, here and here), an open-source and web-browser based form creation, deployment and collection tool. Kobo Toolbox’s primary benefit is that, because it is browser-based, it is platform independent. You can use an iPad or an iPhone just as well as an Android device or a Mac or PC computer. This means that data can be collected on devices that are already owned or that can be bought cheaply (e.g., a lower level Android device v. an iPad). The form is created through their online tools and can create fairly elaborate forms with skip logic and validation criteria. Once the form is deployed and you have an internet connection, the user loads the form into a browser on your device. You need to save the link so that it can be used without a data connection. On my iPhone 5s, I simply saved the link to the home screen. A couple of quick caveats are important here. I was able to load the form onto an iPhone 4s (but only using Chrome, not Safari), but was unable to save it, so lost it once the phone was offline. I was unable to load the form at all on an iPhone 4 (even in Chrome). Therefore, although ideally the form should work in any browser, the reality is that it makes use of a number of HTML5 features that are not necessarily present in older browsers. Of course, as time goes on, phones and browsers will incorporate more HTML5 components and therefore, this will be less of an issue. Once the form is deployed and saved on your device, you can collect data offline. When the device comes back online, it will synchronize the data you have collected with Kobo’s server (note that you can install Kobo Toolbox on a local server, but at your own risk). Then, you can download your data from their easy-to-use website. For the first week, I set up a basic form that collected largely numerical, text and locational data. We were performing a basic survey and recording sites. Outside of our normal methods of recording sites and locations, I recorded sites with Kobo Toolbox in order to determine its efficacy under rather difficult “real-world” conditions. I collected data for 5 days and Kobo Toolbox worked like a dream. It easily stored the data offline and, once I had access to a data signal, all the queued data was quickly uploaded. I had to open the form for this to occur. I was unable to upload with a weak cellular data signal. It only completed uploaded once I had access to WiFi (late on Friday night). 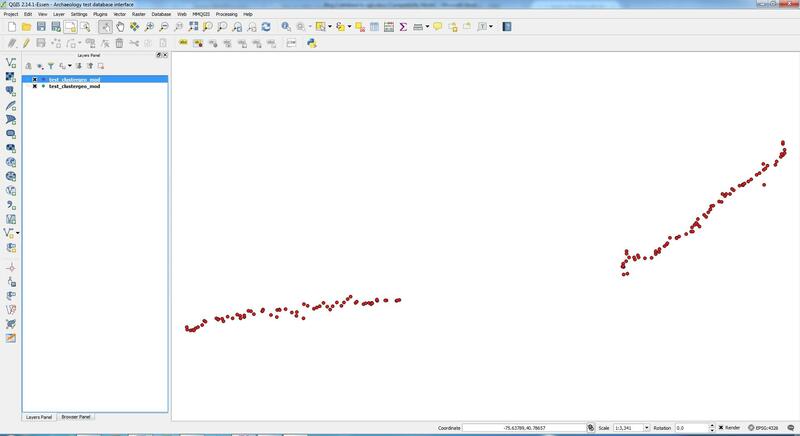 However, it synchronized nicely and I was able to then download the data (as a CSV file) and quickly pull it into QGIS. The single biggest problem that I discovered in the field was that I needed to be able to see the locations of the sites recorded with Kobo Toolbox on a dynamic map. Although Kobo Toolbox recorded it nicely, you cannot see a point on the map, so I had to use another method to visualize what I was recording. The only way to see the recorded data is by downloading from the Kobo Toolbox, but a data connection is required. You can see and edit the data only if you submit as a draft. Once the data is submitted however, you cannot edit it in the field (this was true of other field collection systems that I have used, e.g. Filemaker Go). Yet, I still needed a way to visualize site locations (so I could determine distances, relationships to geographic features and other sites, etc. while in the field). – Like points, all lines and polygons appear the same (also remedied with a subscription). I was particularly difficult to tell the difference between loaded the many uploaded topolines and collected polygons. 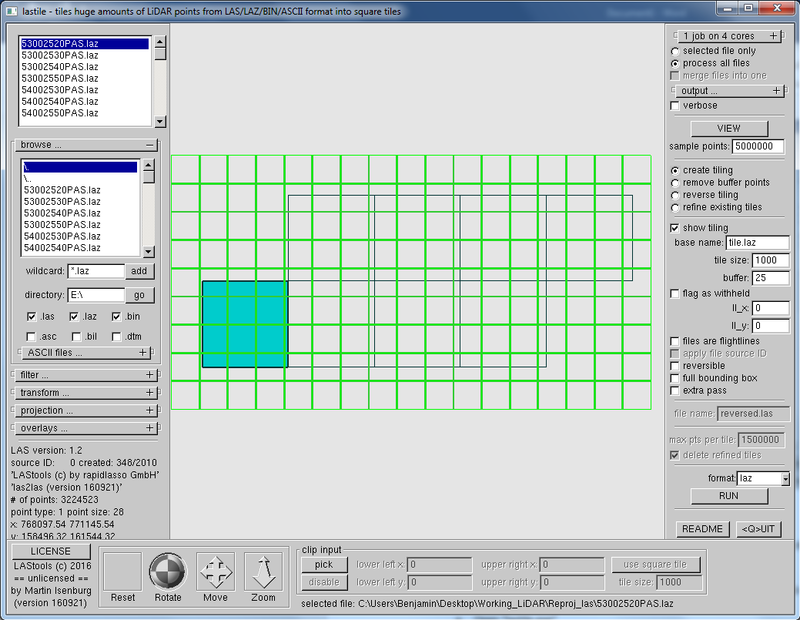 – Limited editing capabilities (can edit location of points, but not nodes of lines; can edit selected data). – Limited entry fields ( remedied with subscription, but, perhaps this is not necessary, if it can be connected to data collected with Kobo Toolbox). – Unable to collect “tracks” as with a traditional GPS device (Edit- OK, so I was wrong about this! 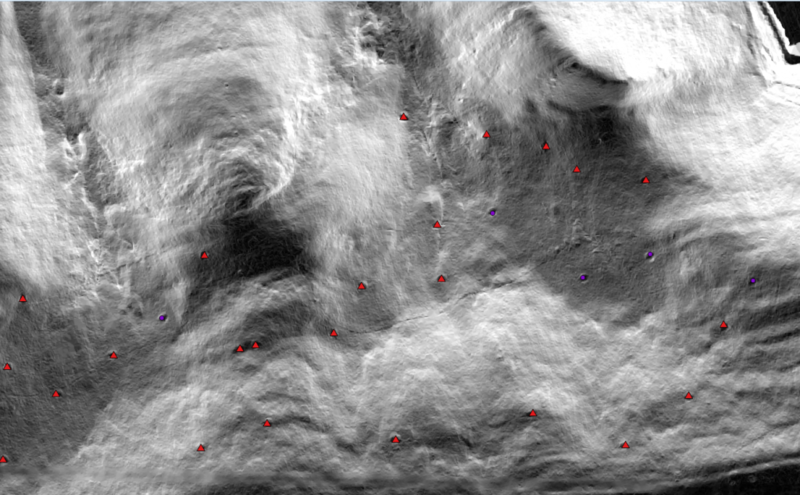 You can collect GPS tracks in iGIS, even though this is not as obvious as one might like). The final limitation of iGIS was not something that was originally desired, but became incredibly useful in collecting survey data, especially negative results (positive results were recorded with the above). Our survey employed a “stratified opportunistic” strategy. We largely relied upon local knowledge and previous archaeological identification to locate sites, but also wanted to sample the highest peaks, mid-level areas and valley bottoms. In order to do this, we also used three different strategies. First, we utilized knowledgeable community members to take us to places they recognized as archaeological sites. 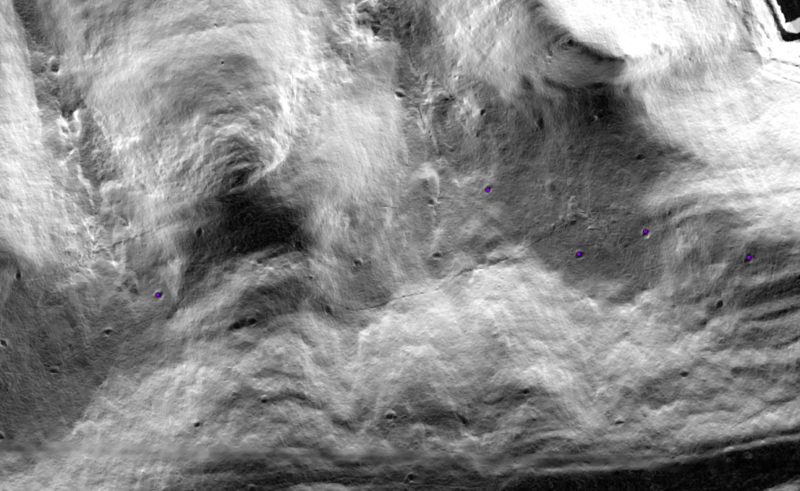 Second, we followed selected paths (also chosen by local experts). Third, we chose a few points (especially in the higher peaks c. 200-300 meters above the valley floor). One of the most important aspects of this type of survey was recording our “tracks” so that we would know where we had traveled. This is commonly done with GPS units, but I was able to collect these using MotionX-GPS with the iPhone already in use. The GPS “tracks” (which are really just lines) as well as “waypoints” (i.e., points) were easily exported and loaded into QGIS. This allows for an easily collected data about where surveys traveled, but did not find archaeological sites. (Edit- Note that you can use iGIS for this function! MotionX GPS is not needed, therefore. It is great for recording mountain biking and hiking, however!). One final comment will suffice here. I just discovered a new app that may be able to replace iGIS. QField is specifically designed to work with the open source GIS program QGIS. Although it is still new and definitely still in development, it promises to be an excellent open source solution for offline digital data collection- though limited to Android devices! Posted on April 8, 2016 Author Ben Carter	No Comments on Why PostGIS? This will be a relatively quick post. 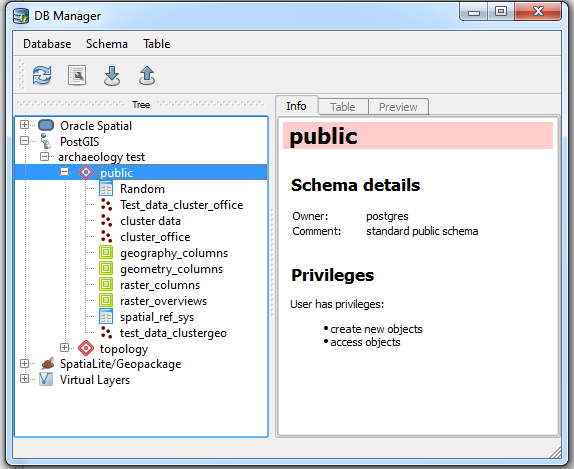 As promised in this post, I will discuss PostGIS, a relational database management system. First, what is a relational database and why should archaeologists use them (for a fuller explanation and discussion see Keller 2009 and Jones and Hurley 2011)? Of course, many archaeologists already use these (especially at larger contract archaeology firms), too many of us avoid them. Indeed, even in graduate school, I never discussed data organization (presumably this is common). However, the way that you organize your data can reduce time spent data wrangling and promote richer analysis. It also promotes and limits certain types of analysis. Let’s contrast a relational database to the “flat” file (often in the form of an Excel spreadsheet) that is all too common in archaeology. Anyone who has used a spreadsheet knows that they are incredibly frustrating to use: Have you ever sorted by a column and then found that you didn’t highlight all of the columns. Now, one column is disconnected from its rightful data. No problem, right? That’s why there is an undo button. What if you accidentally saved it? No problem, you have that archived copy, right? Where was it? 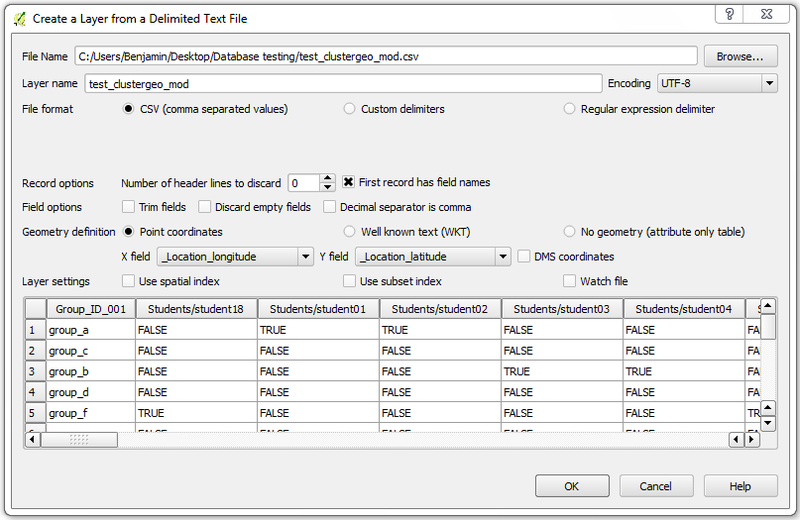 Analyses of data in flat files are constrained by the contents of the spreadsheet. Even if you have multiple sheets in separate tabs (e.g., one for ceramics and one for lithics), they are not linked (yes, you can link through formulas, etc., but that is laborious as well). What if you need to input a new set of information? Let’s say you have a context code that includes site, unit and level, but you want to analyze by unit, you would need to create a new column and either manually enter the unit or digitally separate the unit from your context code. All of this takes time, creates poorly organized files that are difficult to reuse (frequently because data is disconnected from its metadata). Similarly, these frequently lack the appropriate metadata that allows them to be shared and archived. They are largely designed for and with the interests in mid of a single researcher (or perhaps a small team). Frequently, specialists have disparate spreadsheets that cannot “talk” to each other. While no database is perfect, relational databases can alleviate many of these issues. The essential concepts behind a database are to disaggregate data, limit busy work and standardize your data (Note that this never means that you would lose the qualitative narrative). This reduces time and increases quality control. To conceptualize a relational database, think of multiple tables linked together. For example, I may have an excavation table with a wide array of data, including a column with site number. Each “record” (i.e., row) includes all the nitty-gritty information from a single layer from a single unit. If I use the trinomial system, there are three pieces of information buried in a single number/ column (state, county, site number). However, if I wanted to disaggregate these pieces of information in a spreadsheet, I would need to make new columns and do a great deal of copying and pasting all the while risking separating a piece of data from its original record. In a relational database, the original table can be easily connected to a small table that includes one column each for trinomial number, state, county and site number, but only ONE record for each unique trinomial. Then you create a “relationship” between the trinomial column in the original table and the trinomial column in the new table. In other words, each record (row in a table) of your original data is directly linked to state, county and site number with no insertion of columns or copying and pasting of data. Imagine your original table includes three sites in two counties and a total of 1000 records (levels of units). To associate state, county and site number with the trinomial, you would need to insert three columns and copy and paste data into the right cells for all 1000 records (that is, you have created 3000 additional pieces of data; I hope you didn’t waste field time writing your state on each form! With a relational database, you only need to create three records (12 pieces of data). However, because of the relationship created, you have actually created the same 3000 data points. Sounds a bit more efficient, no? I recently worked with census data from North Atlantic Population Project . Much of the data is coded. The downloaded data includes numbers that mean nothing to me, but those codes can be linked to text; a 336 in the IND50US column (Industry categories in 1950) means “Blast furnaces, steel works, and rolling mills”. The original data table is linked to a small table (indeed many of them) that convert apparently meaningless codes into understandable text. This means that I entered the words “Blast furnaces, steel works, and rolling mills” only once, but they are now associated with all 600 records in the original table from NAPP that included the “336” code in the IND50US column. Why Post GIS? PostGIS is simply a spatial extension of PostgreSQL, an “object relational database management system.” That is, it is simply a language for creating and organizing relational databases. The main reason for choosing this system is that it is incredibly popular, widely used in industry and academia. It is open source and works on all computer platforms; it is now the native on Mac OSX servers. It can be stored a server or on your computer. I prefer a graphical user interface and pgadmin, the “native” client for accessing and editing your database, is not intuitive to me. However, I am in the process of switching word processing and spreadsheets to the open source LibreOffice Suite. LibreOffice Base, their answer to MS Access/ Filmaker Pro has native support for PostgreSQL. Other database management programs, such as the two mentioned in the previous sentence, also have native support for PostgreSQL (i.e., you do not need to use LibreOffice). 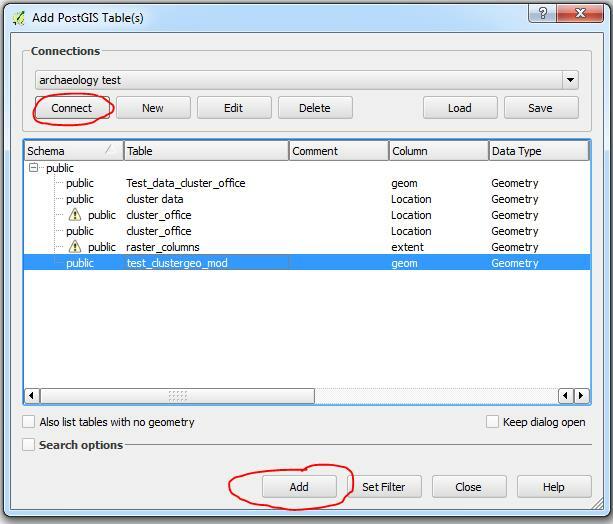 Similarly, PostgreSQL/ PostGIS is supported by GRASS/QGIS, an open source GIS programs (This is a huge plus. Most data in GIS programs are in the flat files ridiculed above). While PostgreSQL/ PostGIS is certainly not the only option available to do these things, it appeared to be the most widely supported. Finally, I will openly admit that I have only begun to work with PostGIS/ LibreOffice Base and I am having some difficulties. I will refrain from being too critical yet because it may simply be part of the learning curve. To open a can of worms that I am still struggling with, I will suggest that relational databases will allow field data to be easily converted into (or perhaps collected as) linked open data.